Give someone a DIY Divas Gift Voucher. 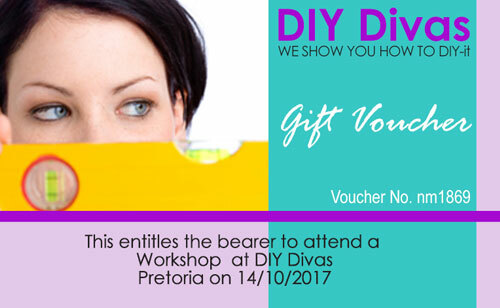 You can purchase a DIY Divas Gift Voucher to any value and this can be redeemed at DIY Divas workshops around the country. All Gift Vouchers are valid for 6 months from date of issue. 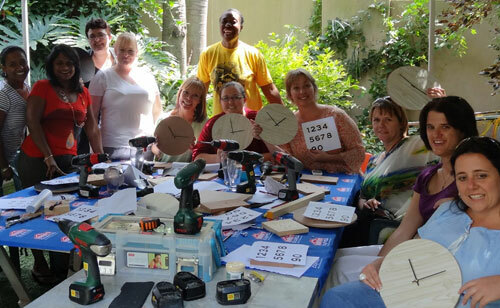 To book a Gift Voucher, first select the closest venue - Cape Town, Durban, Joburg or Pretoria - and then click to BOOK any workshop. The Booking Enquiry has an option to request a Gift Voucher. We reply to the Booking Enquiry, and after receiving confirmation of payment, a Gift Voucher is sent to you for printing out or emailing to the recipient. 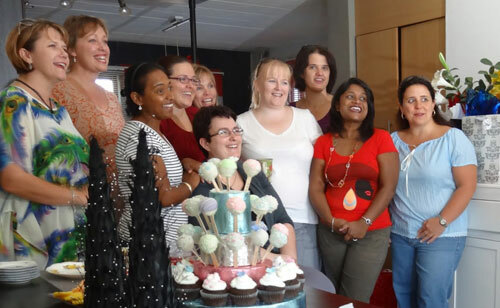 You are more than welcome to confirm an advance booking for a special occasion or to celebrate a DIY birthday. Please note that we require at least 3 months notice for these bookings. Send through a booking enquiry on the venue page and we'll get back to you.